The Government has changed to eligibility for support services, putting around 7000 people seeking asylum nationally, including 4000 children at risk of homelessness and extreme poverty. At this stage, only single males and females have been cut off from support, with families delayed until 2019. Under the new eligibility criteria, mothers who care for school aged children and the elderly are at risk of being cut off all support, and will not be able to pay rent, buy food and medicines. Status Resolution Support Services (SRSS) provides less than $35 dollars a day for rent, food and medicine and access to case management and medical care such as torture and trauma counselling. Around 13,000 people seeking asylum receive SRSS while waiting in a drastically delayed asylum application legal process. The ASRC’s housing, case work and food bank services are under enormous strain, with a growing waiting list of men, women and children in urgent need, as more and more people are cut off SRSS, including families in 2019, if the policy is not reversed. No new people seeking asylum in need can access SRSS. From 27 June the Minister began mass cuts to remove SRSS, sending 1,500 men and women letters notifying them of when they will lose all support. Single men and women, families caring for children and elderly and students will not be able to pay rent or buy food and medicine, they all face immediate homelessness and extreme poverty. People like Malaakooti, who care for children and need support to get on their feet. We know when people are supported, they study, train and find employment to support themselves and their families, and contribute positively to Australia. Without an address, without basic needs met, particularly for the children of our members, it is very difficult for people to concentrate on finding work. Many have been waiting for permanent protection for years, have not had consistent work or study rights to enable them to train and find work, therefore cannot support themselves or rebuild their lives. Furthermore, we are seeing more people driven into exploitative, low paid work where they can get injured and have no security, safety or rights at work. Community groups and organisations around the country are coming together with the #RoofOverMyHead campaign to restore support services to all people seeking asylum. Mayors of 22 local councils representing almost 3 million Victorians signed a joint statement against the Federal Government’s changes to SRSS for people seeking asylum in November 2018, as part of the Back Your Neighbour Campaign launch by Victorian local councils working to petition the Federal Government. 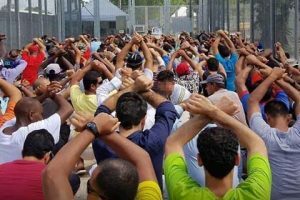 Australia’s brutal and abusive offshore processing and indefinite mandatory detention policy is a failure that has taken 12 innocent lives and continues to deny the human rights of medical care and freedom for 1600 men, women and children on Manus and Nauru. ASRC’s Advocacy and Power Program supports people from refugee backgrounds to become leading advocates and influencers for human rights. People with lived experience should be leaders in the movement to Change the Policy on asylum in Australia. The ASRC’s five policy positions form our vision for asylum in Australia and is the basis for our #ChangeThePolicy campaign. 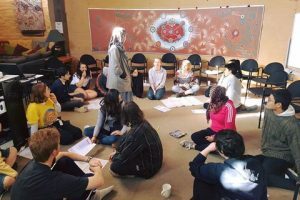 Recognizing that voices of people with a lived experience of seeking asylum are often absent from the debate, this program trains young advocates to tell their own story. As the 7th person dies on Manus after five years of horrific, health destroying and dangerous conditions in offshore processing, more than 1700 people including 140 children remain stuck in a humanitarian crisis with no hope for freedom. It’s time to Evacuate Now. 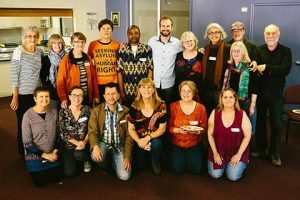 #RightTrack is a community-led movement of people having powerful conversations and taking local action to shift community attitudes and advocate for safety, fairness and freedom for people seeking asylum, resourced by the ASRC.